A Thai political party has nominated the King’s sister as its candidate for prime minister in March elections — an unprecedented move that could upend the political landscape and give the revered monarchy an overt role in politics. Princess Ubolratana Rajakanya, the 67-year-old elder sister of King Vajiralongkorn, will run for the Thai Raksa Chart Party (Thai Save The Nation) aligned with populist former prime minister Thaksin Shinawatra, who was ousted by the military in a 2005 coup. 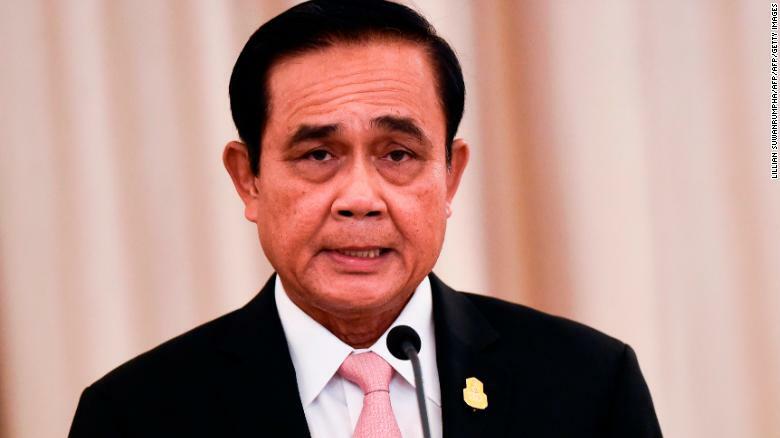 One of her leading opponents will be the military-backed current Prime Minister Prayut Chan-o-Cha, who announced his own candidacy Friday. Thai Raksa Chart is an offshoot of Pheu Thai, the latest incarnation of Thaksin’s party that has won every election since 2001. On Friday night, Thailand’s King Maha Vajiralongkorn weighed in on his sister’s nomination in a decidedly sharp statement, particularly by the standards of Thai royalty. Thai Raksa Chart Party chief Lt. Preechapon Pongpanich confirms Princess Ubolratana will contest in the March elections. How could she affect Thai politics? For the past five years, Thailand has been ruled by a military junta headed by coup leader turned prime minister Prayut. The March 24 poll is widely considered to be a vote between a form of democracy and legitimized authoritarian rule. Ubolratana’s candidacy would upend the race and could be a blow to pro-military parties pushing for Prayut to stay in power. He has been nominated by the Palang Pracharat party. Prayut seized power in a coup in 2014, shortly after Thaksin’s sister and former prime minister Yingluck Shinawatra was kicked out of office. 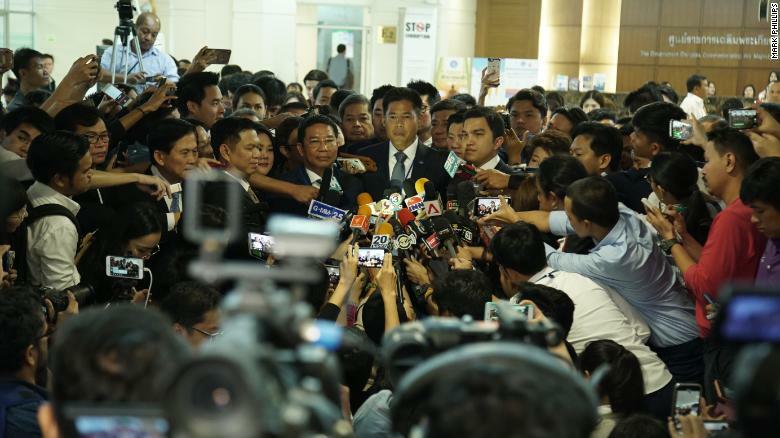 He has consolidated the military’s role in politics through an army-drafted 2017 constitution widely seen as designed to prevent Pheu Thai from returning to power and ensuring a continuing say for the army. Because of her royal blood, Ubolratana’s candidacy could prompt Prayut to reconsider his own candidacy, according to Chambers. A draconian lese majeste law, backed up by prison terms, could also mean Ubolratana remains unchallenged. Thaksin and his policies are popular in the country’s northeast, but he is despised by the royalist and military establishment. That bitter rivalry — between Thaksin’s supporters, known as the Red Shirts, and the royalist elites, known as the Yellow Shirts — has been a hallmark of politics for the past 20 years, with deadly street protests a common occurrence. Friday’s announcement signals a surprise marriage between the two sides, with Ubolratana having the power to break that cycle. “People are hoping that this princess will be a light at the end of Thailand’s dark tunnel of dictatorial authoritarianism. That she’ll be the means by which democratic forces can compel the junta to cede power and go back to the barracks,” Chambers said. Reconciliation is key for the party, and Ubolratana’s status could quell the chance of more street protests or a future coup and ensure there will be peace during the King’s coronation. Thai Prime Minister Prayut Chan-O-Cha at the Government House in Bangkok on October 24, 2018. Can a Princess be PM? Ubolratana is the eldest child of King Bhumibol Adulyadej, who died in 2016, and Queen Sirikit. Royal family members of her rank are not barred from politics but have opted to stay neutral in the past. Ubolratana was close to her father and the two won a gold medal in sailing at the 1967 Southeast Asian Games. She relinquished her royal title when she married her American husband Peter Ladd Jensen in 1972 and settled in the US, where she studied biochemistry at the Massachusetts Institute of Technology. The couple had three children but their second, Khun Bhumi Jensen — known as Khun Poom — died in the 2004 tsunami that ravaged southern Thailand. Following her divorce in 1998, she returned to Thailand permanently in 2001 and became active in royal life. She has been working as a representative for the Thai tourism authority for more than 10 years. Ubolratana set up several charities, including the Khun Poom Foundation named after her son that assists children with autism and other learning disabilities, and headed a campaign that helps young people stay off drugs. She is also a keen singer and actor, appearing in several films, and is active on social media, where posts of her singing and dancing have gone viral. In March, Thais will vote for the 500-seat lower house of parliament. But the 250-member upper house, or Senate, will be chosen entirely by the military.